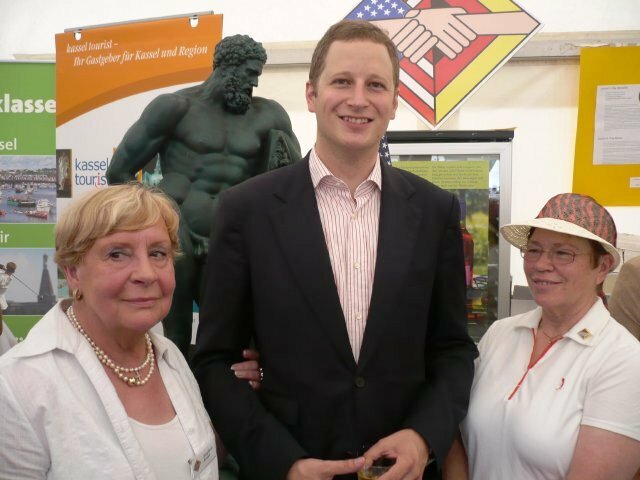 Welcome Home - Internationaler Frauenclub Kassel e.V. 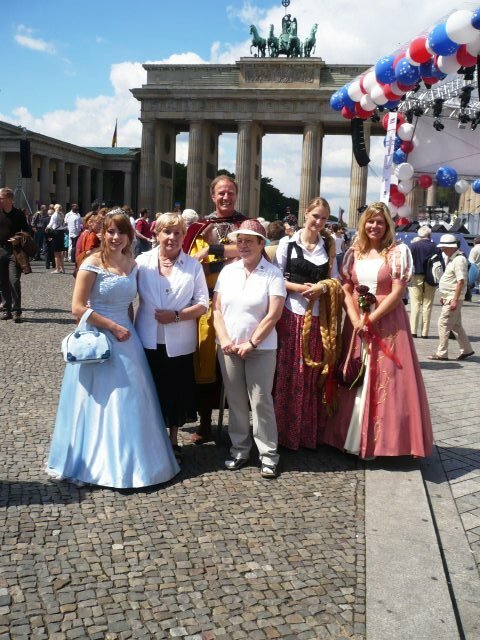 The “Verband der Deutsch-Amerikanischen Clubs Federation of German-American Clubs e. V.” was the organizer of the “Volksfest” on the “Pariser Platz” in front of the American embassy and the “Brandenburger Tor”. 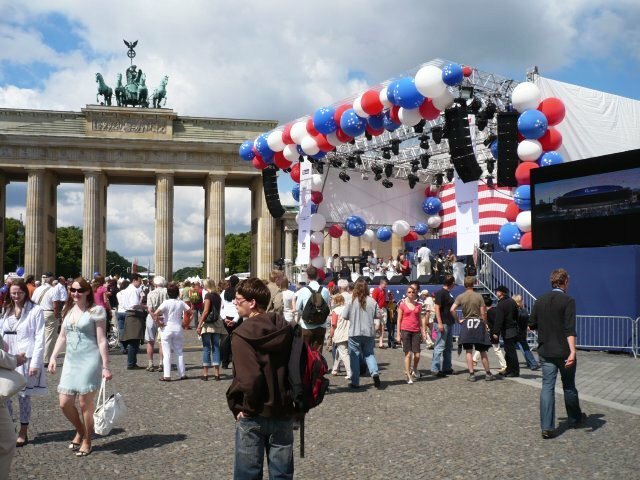 The occasion was the opening of the new US-ambassy. 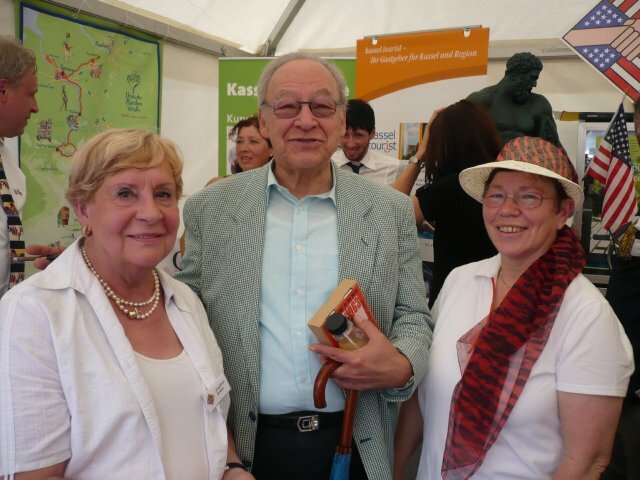 Approximately 200.000 people participated in this event. 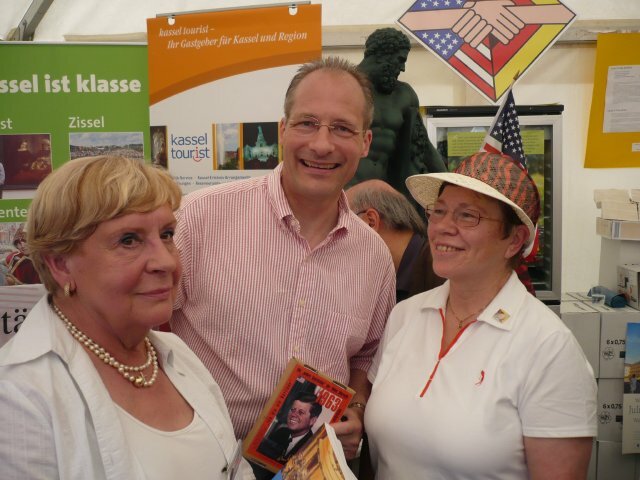 Our club took an active part by focusing on the region through exhibits of the “kassel-tourist GmbH” and the “Märchenstrasse e.V.”. mugs of the firm Hornschuh and “Ahle Wurst” (a special sausage) of the master butcher Koch from Calden. 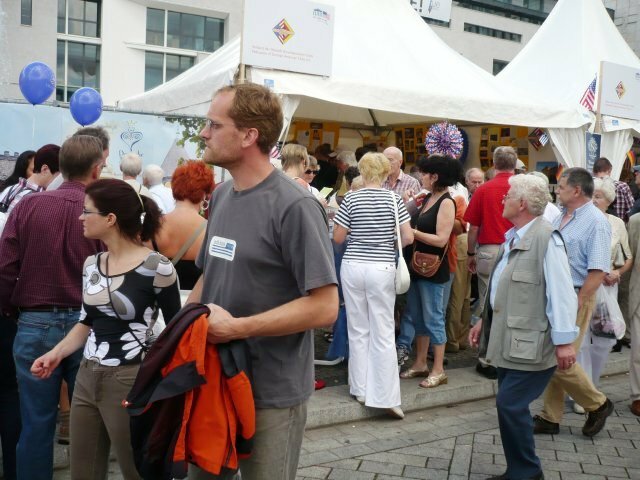 Our tent with the bistro-tables in front were visited by about 4.000 guests of the event.